What is this? 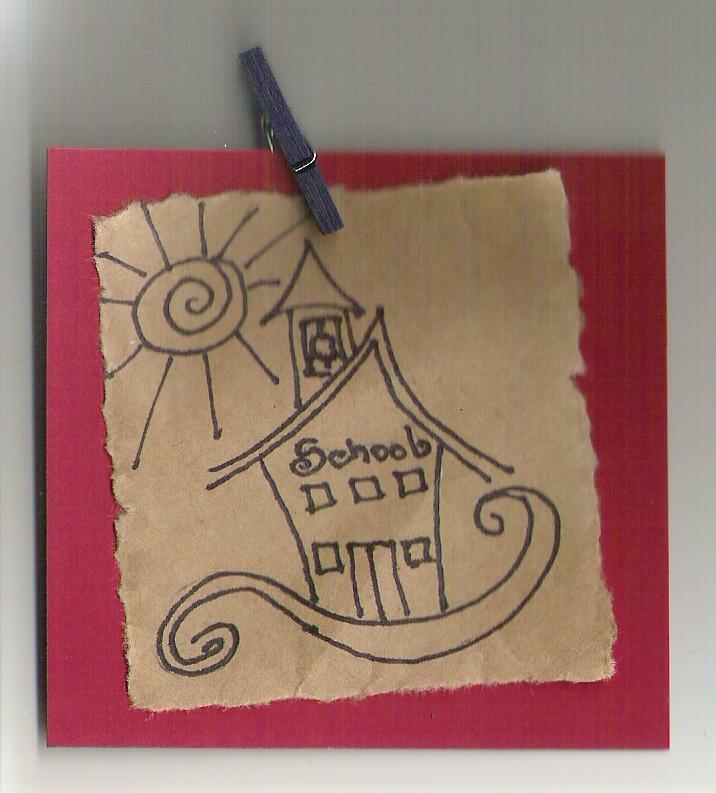 It’s the first week of summer vacation, and my graphic is a little schoolhouse? Yep. Today I attended a professional development class teaching the Avid program’s strategies for critical reading. It was a worthwhile investment of seven hours, and I actually look forward to going back tomorrow. Was there anything new and revolutionary in the instructional strategies introduced today? Not really. I have encountered various pieces of the mosaic in other contexts, in on-the-job professional development classes like Student Owned Strategies for Reading, in my own reading–Jim Burke’s Reading Reminders is still one of my favorite resources, in articles from the various National Council of Teachers of English publications, and even tips from my mentor teacher when I earned my MAT and teaching license over ten years ago. Did I mind that every idea was not new and fresh? Not really. In our setting we had teachers teaching teachers. Each time a different person presents an idea or piece of information you get a unique new spin on it simply because each individual instructor is unique. Also, this information was presented in the context of a classroom of about forty middle and high school teachers, and plenty of opportunity was provided for talk. I think the most important issue discussed by the end of the day was the question of thinking. How do we encourage our students to think? How do we show them we value thinking over the simple regurgitation of “correct” answers. How do we convince them that there are some questions for which there is no academically right or wrong answer and that its okay to pick sides and take a stance? How do we help them value the time it takes to read actively and formulate an understanding for the material read? And how do we make time for them to do this in our classrooms? These were big questions for teachers whose students have to take content-area, standardized, multiple-choice tests. And they are important questions. As a Language Arts teacher, I felt blessed that critical reading, active thinking, and clear communication are actually the mission of my subject area. I value my students’ thinking, and am humbled by the openness with which they share their inner selves. What do you think? How do you communicate the value you place on thinking, and how do you provide opportunities for your students to practice it?